have been meaning to do this for a while! had an amazing trip to Bhutan, though i didn’t get a chance to write all about it. it still has an old world charm, and the interiors are relatively untouched by typical modern trappings, so it was a lovely experience to drive through the forest covered mountains with crisp, cool air. to begin at the beginning though, Bhutan as a destination has been in my head for about a year(after i visited Ladakh last year) and i had one failed attempt in March, couldn’t get any flight tickets and planning it without a travel agent, in the middle of a busy work schedule proved to be virtually impossible. so i had to let go, but managed to plan it all a few months later, with the help of the very efficient Odyssey Travels based in Pune. unlike my solo trip to Ladakh, i was visiting Bhutan with a friend and we were excited at the prospect, though i am more of the mountain lover than she is. the flight to Bhutan (to the city Paro) was early morning from Cal so we had to fly in the previous night, and spend the night at the airport. 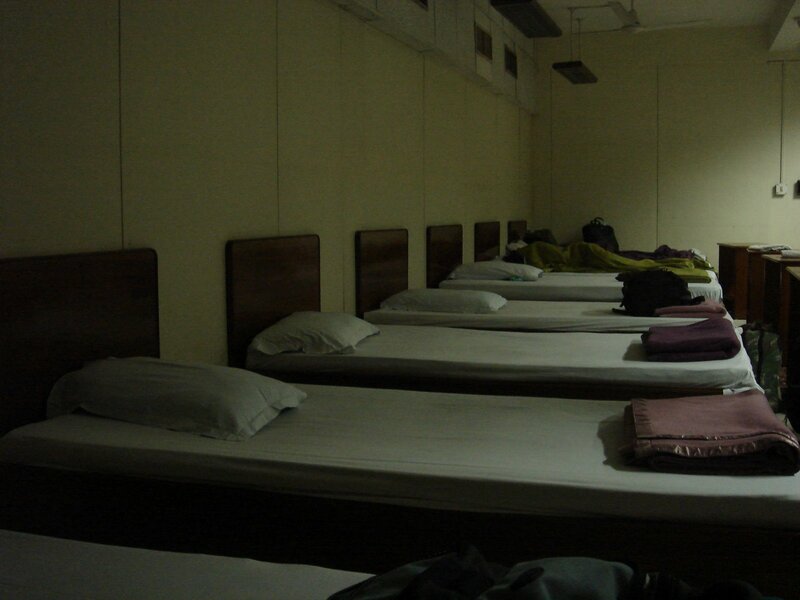 when we landed at Cal tho, we found out that the airport has a women’s dorm with 8 beds – and we were surprised at how clean it was! so after quite a comfortable night, we headed off to the intl airport (5 mins walk round the corner) . 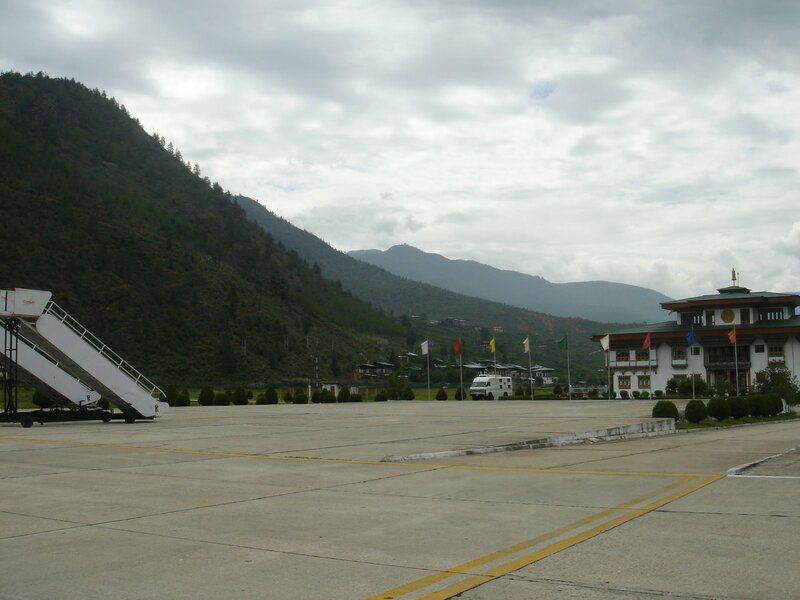 Bhutan operates it own national airline, Druk, and that’s the only way to go there. it’s always full since there are limited flights, so booking in advance is an absolute must. 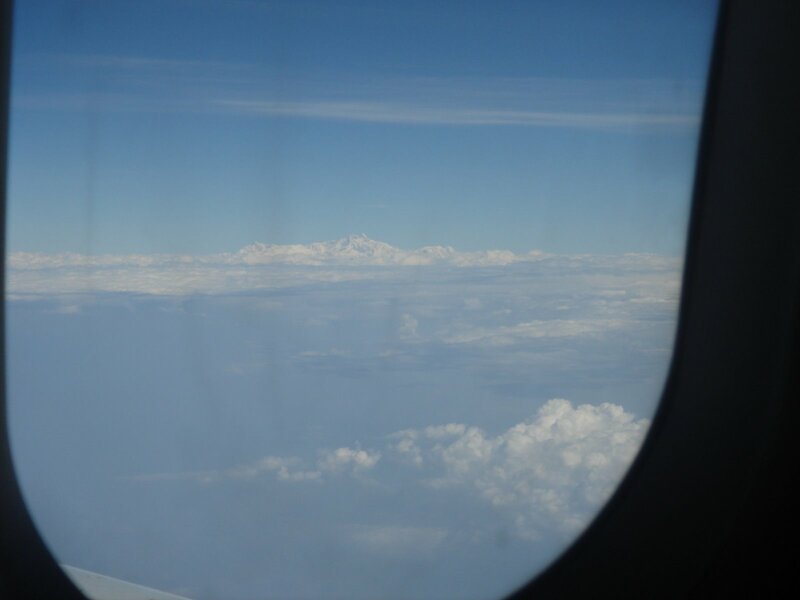 you also need seats on the left of the aircraft to see the himalayas, and this plane had free seating! people cued up even before they made the boarding announcement! luckily i managed to get a middle seat on the left. soon enough we were landing in Paro! it’s just a 50 min flight. the airport is one of the prettiest ones i have ever seen! with traditional buildings and all the airport officials wearing the traditional Bhutanese dress, the Gho, it made for a pretty sight. after the testing for the H1N1, we were out to be greeted by the guide and the driver, our companions for the next week. never travelled with a guide before, but i realised that here it was helpful.